Desert Living at its Best!! !This is a Custom Home in West Oak Hills on 2+ Acres ON NATURAL GAS. 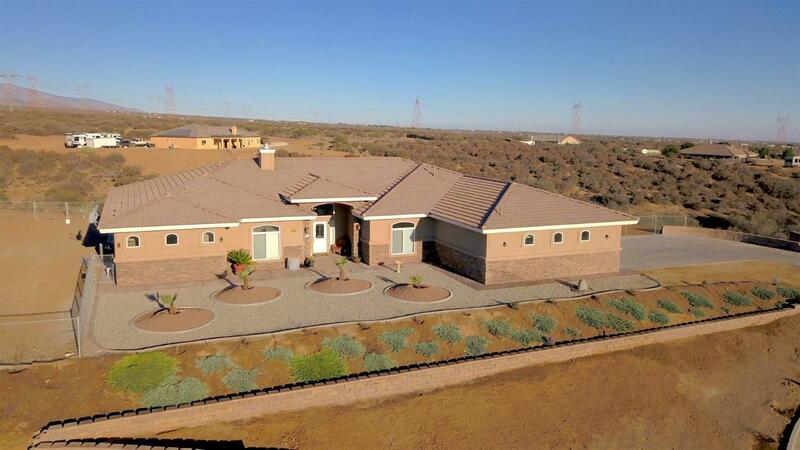 This Beautiful home sits on a Bluff with a Spectacular 360 Degree View of the surrounding Mountains, Desert and City Lights.This home has so many Extras 10ft.Ceilings, Granite Counter Tops & Custom Hand Laid Wood Grain Tile with Accents throughout. This 5 Bedroom home offers a Split Floor Plan that has 2 Master Suites great for extended family stays and 4 Baths. A Chef's Dream Kitchen with High End Built-in Stainless Steel Appliances, lots of Cabinets, Granite Countertops an Island with Prep Sink and a Spacious Pantry. The Breakfast Bar opens to the Family Room that features a Cozy Fireplace great for those cold winter nights.There's a Large Separate Formal Dining Room great for holiday entertaining. A Spacious Master Suite with a Separate Ensuite Bathroom that features a Jetted Soaking Tub, 2 Separate Sink Areas, a Sit Down Vanity, Walk-in Shower, Private Toilet & a Large Walk-in Closet.It also has a Separate Laundry Room that leads to the Oversized 3 Car Finished Garage with lots of Built-in Upper Racks for Storage and plenty of room for the toys. A Full Length Covered Patio with Ceiling Fans for those hot summer night BBQ's and entertaining. Home is on Natural Gas. This Home has A Lot to Offer with Lots of Room to Grow. Welcome Home!!! To View Virtual Tour click tab. Directions: Gps Is Accurate. 15 Fwy Exit On Ranchreo Rd. Go West Towards Caliente Then Turn Right, Go To Oak Hills Rd. Go West Until You Come To Ranchreo Rd. Then Turn Left Go To Braceo St. Turn Left Property Is A Short Way Down On The Right Side. © 2019 High Desert Association of REALTORS® All rights reserved. Information deemed to be reliable but not guaranteed. The data relating to real estate for sale on this website comes in part from the Broker Reciprocity Program. 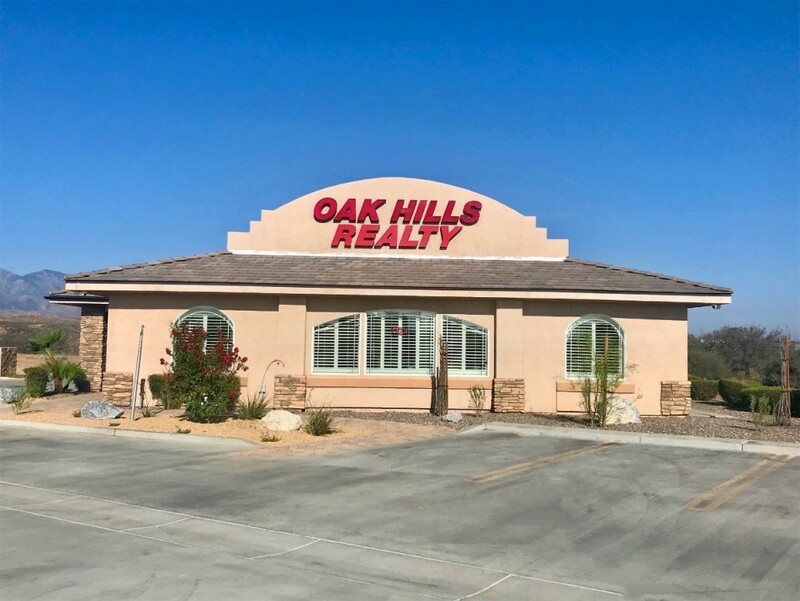 Real estate listings held by brokerage firms other than Oak Hills Realty are marked with the BR logo and detailed information about them includes the name of the listing brokers. Listing broker has attempted to offer accurate data, but buyers are advised to confirm all items. Information last updated on 2019-04-24.